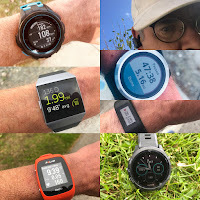 Road Trail Run: Interesting Statistics about this Blog's Audience-Many of you are Apple "Romantics"
Interesting Statistics about this Blog's Audience-Many of you are Apple "Romantics"
Approximately 23% of this blog's audience use Macs. I use a Mac.The worldwide penetration for Mac OS is around 10%. Add to that another 6-7% of viewers on iPad and iPhone. 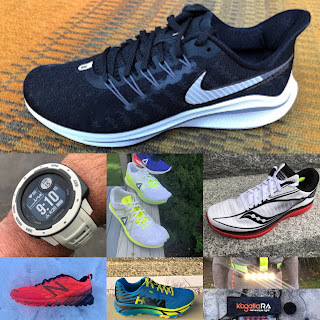 What does this say about runners and the content of this blog? A quote from Steve Jobs at today's introduction of the iPad 2 from Cnet in an article entitled "Apple's Jobs to rivals: You're nerds, we're not"
"It's in Apple's DNA that technology alone is not enough. It's technology married with liberal arts, humanities, that yields us the result that makes our heart sing. And nowhere is that more true than in these post-PC devices. " And I thought runners were nerds. I guess not. "Apple, though, believes, and with some justification, that it simply isn't in the gadget business. It sees its competitors precisely as the nerds, the geeks, but not the romantics. It sees them as more prepared to play with their gadgets for the gadgets' sake, rather than to enhance their experience of life somewhere out there. Shouldn't our latest running shoes and gear really be about enhancing our experience of life on the trail, in nature and on the road. And yes, maybe some of them will help or make us think we will run faster. I'll keep being a romantic and an optimist. I hope you will to.